Whether it’s Frank Sinatra or Enrique Iglesias, there’s nothing sexier than a confident crooner. 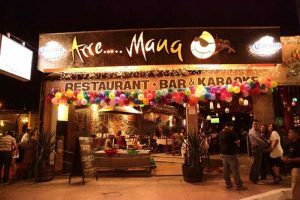 Wannabe singers can serenade their sweethearts, belt out a ballad, or let loose with flirty bubblegum pop at Arre Mango, the new project from the minds behind Mango Cantina and Mango Deck, in downtown Cabo San Lucas. Arre Mango is already a favorite with locals. The restaurant and karaoke bar has a limited kitchen, but the potent drinks, which keep on flowing till 5 a.m., provide all the encouragement you’ll need. 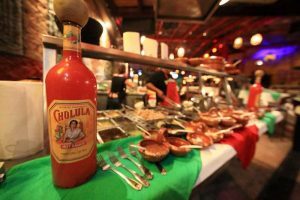 It’s perfect for a double date or group outing; they have special birthday party packages as well as a variety of themed nights, including Mariachi Night (don’t forget your sombrero) and other dress-up occasions. For a detailed list of events and gallery pics, check out the Facebook page for Arre Mango. Yes, this is the best karaoke bar in Los Cabos. But it’s also so much more. Arre Mango, the sister spot to Mango Cantina and Mango Deck, offers guests a seemingly endless lineup of karaoke options—in English and Spanish—but also nightly specials, an alfresco dance hall, and a menu that begs to be explored. Come early on Thursdays for pozole, a traditional Mexican soup served in a variety of ways. 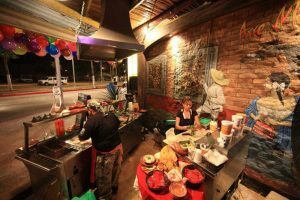 Other nights, dinner starts around 6 p.m., and you can keep the party going till 5 a.m.! 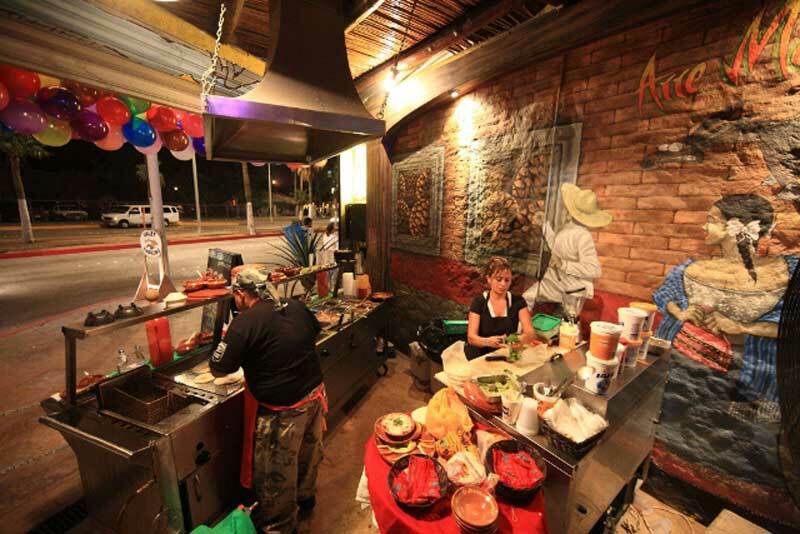 Menu offerings range from typical pub favorites to Mexican must-haves like fajitas. 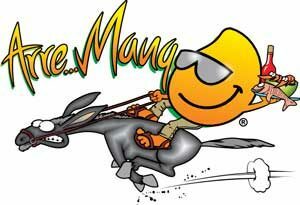 Stay tuned to Arre Mango’s Facebook for updates on events: www.facebook.com/arremangocabo. Boulevard Lázaro Cárdenas, Cabo San Lucas (624) 144-4300, www.arremango.com. MasterCard, Visa, and vouchers accepted. Tues.–Wed., Fri.–Sun. 6 p.m.–5 a.m.; Thurs. 2 p.m.–5 a.m.